The transition from high school to college is different for every student, and sometimes this change can prove very difficult for some. The vast possibilities available on a college campus can be overwhelming for a freshman, especially when the tasks of making new friends and choosing an academic path come into play. Often, leaving behind the ease and comfort of a high school environment causes immense stress for young adults who may feel thrown off balance. All of this can make for a rather interesting new time period, something I completely understand after going through it myself. Despite my awareness of these difficult circumstances, I feel as though some students who face adversity during their first semester on campus come to blame these issues on the University itself. The school becomes a tangible cause of this person’s unhappiness, though the circumstances they face are entirely personal. The decision to transfer is ultimately something a person must choose for themselves, but I wonder if this choice is sometimes made hastily because that student hasn’t found what they are looking for yet. This isn’t to be confused with desiring a transfer because a school simply wasn’t what a person was looking for, but rather it is about the students who decide to transfer for issues that could be rectified without leaving the campus behind. It seems as though when things haven’t fallen into place as quickly as we would’ve liked them to, this dissatisfaction gives way to the search for a cause, namely blaming the school itself. The time period of adjusting to college life is vastly different for every student; recognizing this disparity might go a long way in easing the pressure on young adults who feel that they haven’t quite found their place. 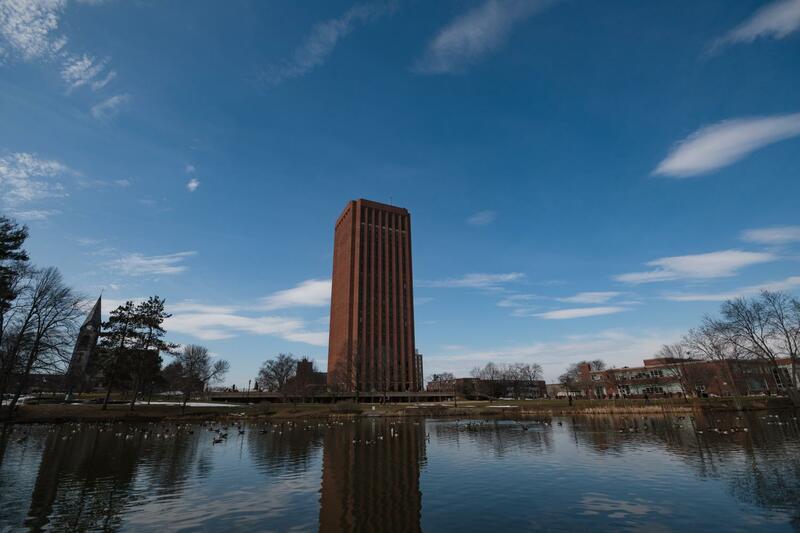 At the University of Massachusetts, the opportunities available to make this transition easier are innumerable. With hundreds of Registered Student Organizations and a multitude of other intramural sports teams, it’s safe to say there are choices for every type of student. A large part of making a campus your home is the importance of feeling like you have a purpose; this can be achieved through participating in extracurricular activities that truly interest you. I’ve often heard that the sheer size of the student population at UMass is too large for a student to build a community around them, but this logic does not take into account the multitude of ways to achieve community-building. When a student participates in clubs or sports they enjoy, they are bound to encounter other like-minded individuals, thus creating a smaller unit of people to surround themselves with. With a community of students attending UMass from all over the globe, the diversity of thought is so great that locating similar people is completely realistic. At this school in particular, we can enjoy the freedom to live and associate with a very different set of peers, something that many other schools cannot offer to its attendees. This combination of attributes may often seem daunting, but it ultimately provides each student with the tools to make UMass function in the way they desire. Cultivating a new experience anywhere is hard. We are all bound to face some obstacles on the road to discovering how to exist in this environment. Each and every student adjusts to college at a different pace; learning to trust in that struggle and utilize the resources available can make this less burdensome. I urge the people who feel as though UMass does not have the potential to make them happy to give the process time. We often expect that everything we desire should fall in to place instantaneously, but this is simply not realistic. Whether it is finding a great group of friends, discovering the path we should take academically or merely feeling comfortable on campus, a student should decide to transfer only when all options have been exhausted. In the end, if nothing has worked, finding a new school might be the right move. However, failing to give UMass the chance it deserves would be a great disservice in the long run.